visa requirements and fees for Nigerian Citizens planning to travel to the country. Benin Republic is one of the countries located in West Africa Its capital and largest city is called Porto Novo. The country borders Togo to the west, Nigeria to the east and Burkina Faso and Niger to the north. Nigerian passport holders are advised to visit the Embassy of Benin Republic in Nigeria for more information and further instructions. 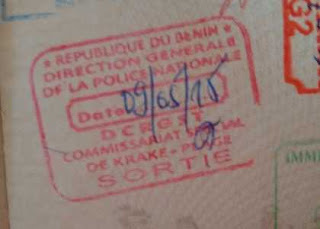 Nigerian passport holders can visit the country without needing a visa,however if you pan to visit the country for a long time or perhaps you want to start a business in the country,then it's imperative that you visit the Embassy of Benin Republic in number 4 ,Abudu Smith Street, Victoria Island, Eti Osa, Lagos, Nigeria. Q: General Requirements For Visa For Nigerian Citizens? Q. Benin Visa Processing Time? 8 - 24 hours,however it's advisable that you apply at least one week before your travel date. Q: How Much Is Benin Business Visa Fees In Nigerian ₦aira? A standard Beninese business visa for Nigerians costs between N3500 to N5000,however it's advisable that you contact the embassy of Benin in Nigeria for more accurate and updated information.